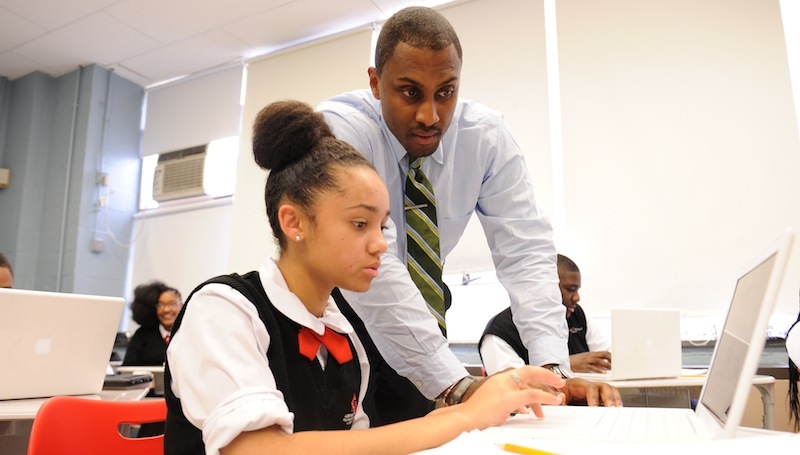 All Achievement Prep scholars, both returning and newly admitted, must submit all required forms in order to attend Achievement Prep in the 16–17SY. Campus main offices are open between 9am and 5pm Monday through Friday (except for Federal Holidays) to assist families with completing forms. There is no cost to complete the registration process. Welcome to the Achievement Prep family! For new families, we are thrilled that you have chosen our school for your scholar, and we look forward to collaborating with you to support your scholar throughout the upcoming school year. For returning families, we are honored to work with your scholar for another year, building on all the progress that we have made so far. We want to ensure that all of our scholars, both returning and newly admitted, can be successful and take advantage of the opportunities that our school allows. Our parents are our partners in this critical mission, and one of the first things that families can do to support their scholar’s success is to complete the registration process and guarantee a seat at Achievement Prep. Scholars who do not submit required documentation by May 2, 2016 risk losing their seat, so we encourage you to submit your registration materials as soon as possible. Please note that the process to register a current scholar varies from the process to register a newly admitted scholar. As you submit your scholar’s required documents, you can reach out to Leala Bowens at the Elementary School: (202) 727-7373 or Mecha Inman at the Middle School: (202) 562-1214, to answer any questions that you may have about registering your scholar at Achievement Prep. For information about scholars registering at the Elementary School Campus, please contact Leala Bowens at lbowens@achievementprep.org or call (202) 727-7373. For information about scholars registering at the Middle School Campus, please contact Mecha Inman at minman@achievementprep.org or call (202) 562-1214.